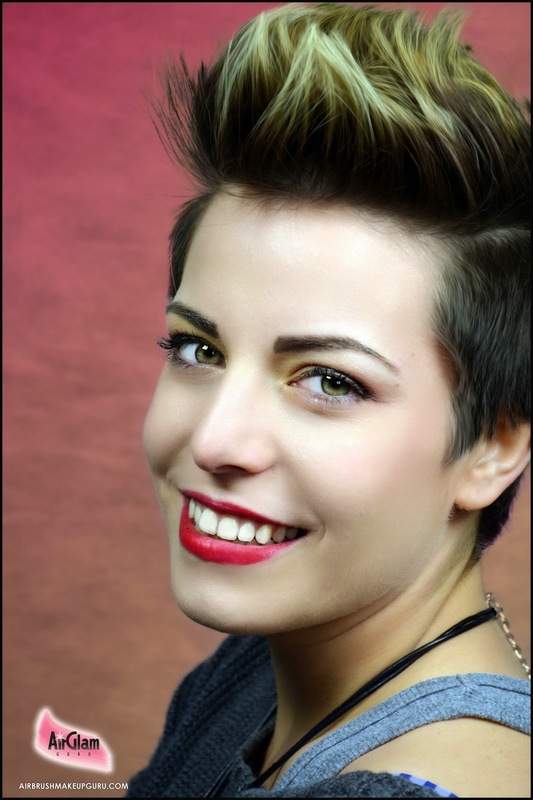 Divine Airbrush Makeup is a family run company based in Boca Raton, Florida, and one of the newest airbrush makeup brands on the market. 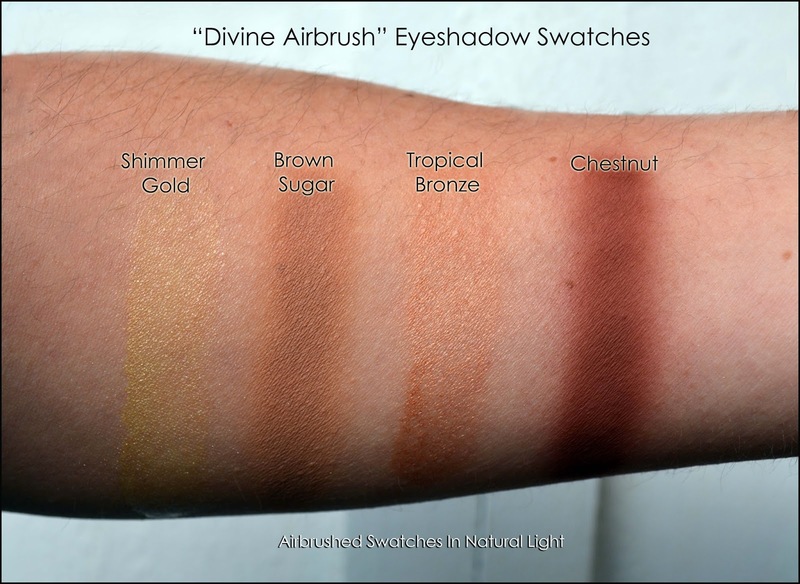 We always love discovering new airbrush makeup lines, and we were attracted by the elegant look that Divine has chosen for its operation, with a marketing style geared towards consumers with a taste for luxury. 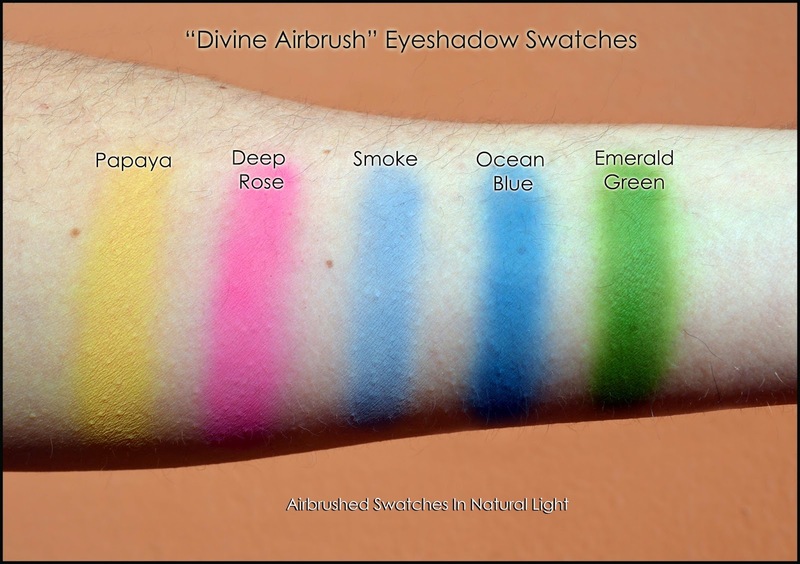 The makeup offered by Divine Airbrush is water based, proudly produced in the USA, cruelty free and FDA compliant. 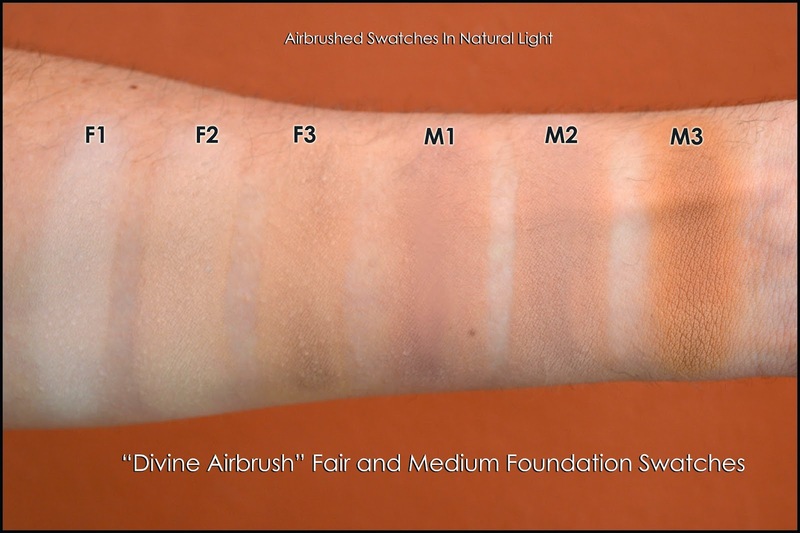 The line offers 12 foundation colors divided in four groups of three shades each. Each color is named with a letter indicating the shade group (Fair, Medium, Dark and Tan) and a number 1, 2 or 3 indicating the color intensity within that group. So for example the lightest color of all will be F1, while the darkest T3. There are also 13 colors divided in 10 matte and 3 shimmer shades to be used for eyeshadow, blush or contouring. 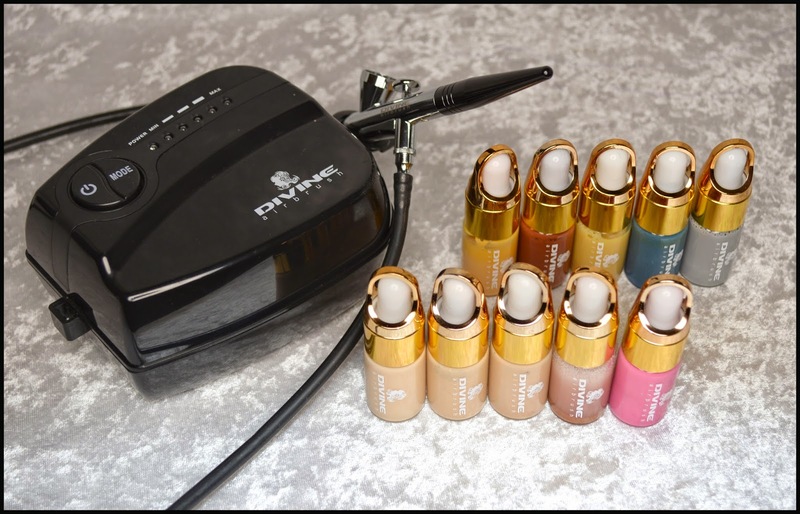 Divine airbrush also offers its own airbrush makeup kit with variable speeds and a stated maximum pressure of 30 PSI. 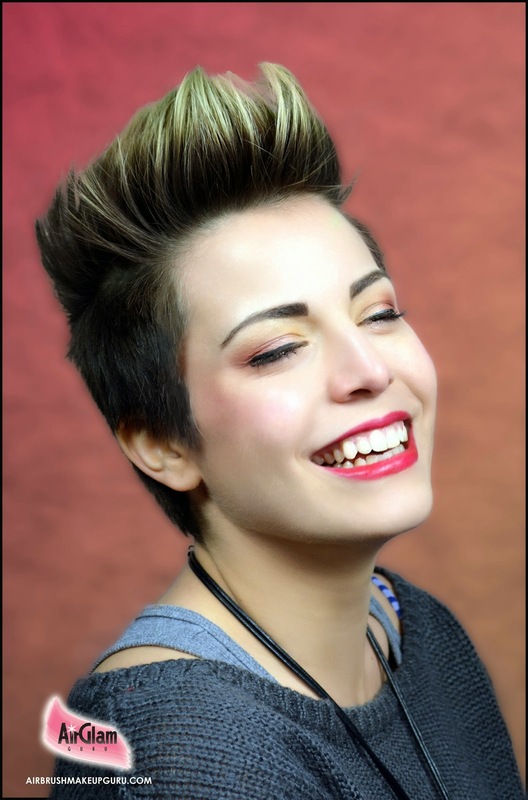 We used this very kit and all the products it came with to create the look you see in the video tutorial posted at the end of this article, and in the photos that accompany it. The Kit comes in a nifty little box that efficiently contains all the equipment. The first thing you see when you open it is the box airbrush box, the underneath is the mini compressor, the rubber hose, the power unit and the airbrush holders, one for each side of the compressor so you can keep the airbrush where you find it most comfortable. There are some basic instructions with the unit but everything is very simple and intuitive. When you push the ON/MODE button, the compressor starts on its maximum pressure output, then you simply push the "Mode" side of the same button to decrease the pressure to your desired strength, which will be marked by the led indicators on top. The unit is very light and surprisingly very quiet, which makes it ideal for travelling. While I don't have the technical equipment to test this, the compressor strength does not quite seem to match the stated 30 PSI. I have other compressors that do and they seem quite a lot more powerful. This output seems closer to a maximum 15-20 PSI, which is still perfectly adequate to apply the Divine makeup and other water based brands of similar consistency, and makes the compressor more than viable for personal use. The same can be said for the airbrush, which is very easy to use and has a nozzle wide enough to make the application fast but still easy to control, and to make cleaning it a breeze. The matte eye shadows are very pigmented and blend very well, making it easy to achieve great smokey looks even for less expert airbrushers. 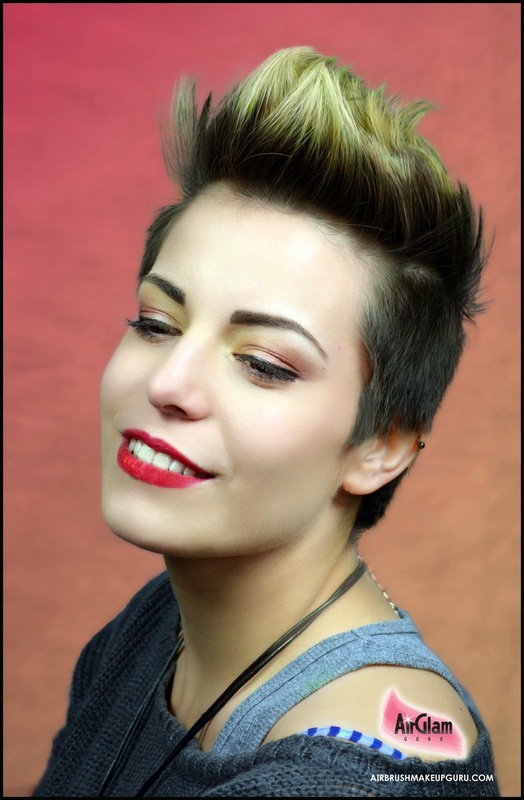 The shimmer colors are much runnier and less dramatic, so you will need to apply them in thin layers and then dry each layer thoroughly to achieve a good finish that will last. 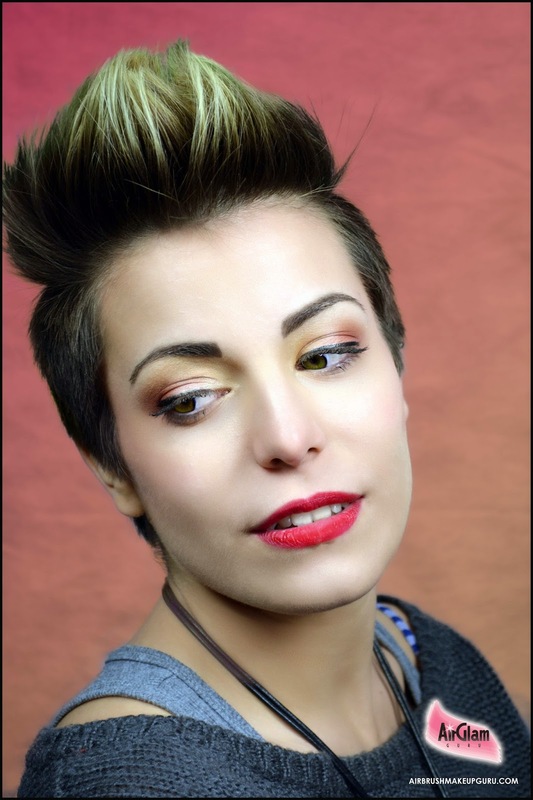 A good thing about this type of shimmers is that you can mix them easily with the matte shades to make them sparkly without compromising their color in a noticeable way. We loved creating the look in our video tutorial, but we feel we just scratched the surface of the possibilities that these colors offer, and look forward to experimenting more. As for the makeup packaging, all the products come in very elegant looking, real glass bottles with golden plastic toppers that enclose a glass dropper. This is in line with the overall luxurious image of this company, and it does allow for a totally mess free application, with no cap cleaning necessary at all. The downside of glass, however is of course its very breakable nature. While the bottles will arrive packaged very securely, but once they are on your table top you will have to be extremely careful not to drop them on the floor, or they will inevitably shatter. Because of the large opening required for the dropper, toppling an open bottle will also cause you to lose half its content in the blink of an eye which is of course very frustrating. We hope to see this friendly, elegant company flourish in the future and expand its product line even more. As the brand becomes more well known for its quality we are sure that the price of its products will fall in line with the best of their competitors, and become appealing to an ever wider audience.